Last December 8, 2012, Marine Lorphelin, Miss Burgundy, was crowned Miss France 2013. For several decades, the pageant was presided by Geneviève de Fontenay, otherwise known as La Dame au chapeau (The Lady With a Hat). Eventually, de Fontenay lost the franchise to the giant entertainment and media company, Endemol. 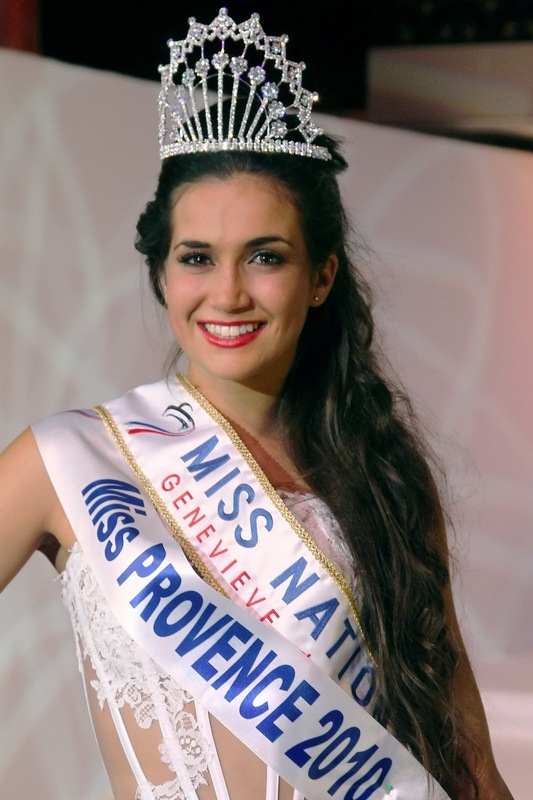 In 2010, de Fontenay created a rival pageant to Miss France called Miss Nationale which crowned Barbara Morel, Miss Provence (above). But due to a trademark dispute with another group who had already trademarked "Miss Nationale," de Fontenay was forced to change her pageant's title to "Miss Prestige National" in 2011. The 2011 winner of Miss Prestige National was Christelle Roca, Miss Cerdagne-Roussillon (above). 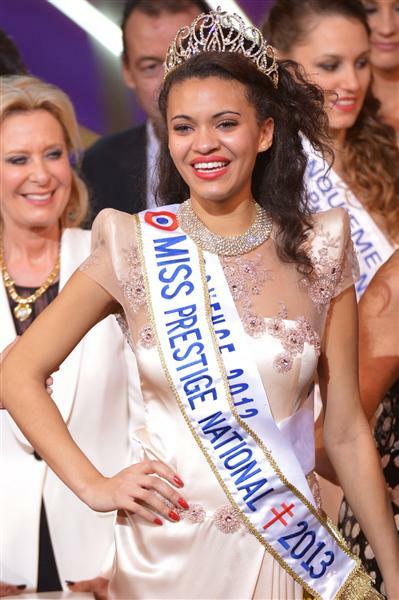 On December 10, 2012, Auline Grac, Miss Provence, was crowned Miss Prestige National 2013 at the Lido in Paris. Grac, 21, is a first-year osteopathy student at the Université de Limoges. She was born in Marseille. The seven finalists in Miss Prestige National were voted by telephone, before the winner was elected by a jury. Thirty regional finalists modelled costumes, evening gowns and one-piece swimsuits. Instead of a television network, the ceremony was broadcast on Dailymotion. Compared to Miss France who competes internationally (Miss Universe/Miss World), Miss Prestige National competes in Miss International.